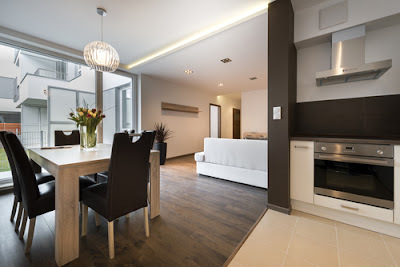 Before embarking on planning the design of your condo, there are some pertinent questions you will need to ask yourself so that you do not end up with a bad plan as well as running into unforeseen expenses. Poor planning and poor budgeting can lead to some disastrous mistakes in the design of your condo. When planning on constructing a new condo, you must look at the new home from several angles. For example, you may need to ask yourself if your family will be expanding; if children will be leaving the nest; if you’ll be entertaining often; etc. 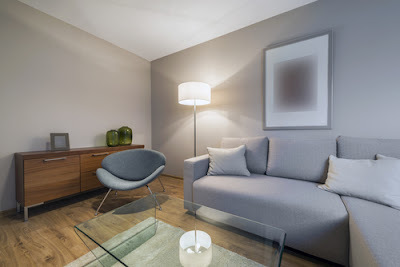 These questions will then help you to come up with apt designs for your new condo. 1—Are there features that will determine the placement of the condo? Topography, tree, flood plain, water features? When you are designing a new condo, you ought to consider the local climate, terrains, views, street access, vegetation and noise when deciding the design and placement of the condo. It is important to balance these vis-à-vis the benefits you get through harnessing the energy of the sun for heating, and breeze for cooling. So as to benefit from the warmth and natural light of the sun, the rooms you will be using a lot- or the living areas- should face north. The main windows, glass doors, or skylights should face north as well. At the same time, there should be less glazing facing the west due to the potential for overheating and glare from the late afternoon sun. Glazing facing the east will let in the morning sun. The east-facing glazing can be sized in accordance with the owner’s preference for light, ventilation and heat control in summer. Windows that face south receive very little sun and should therefore be relatively small so as to prevent heat loss while allowing light and ventilation. However, remember that the exact amount and proportion of glazing is hugely dependent on other considerations like climate, how energy efficient the glazing is, and how well insulated the condominium is. To fully benefit from the sun, the home should be placed as far as possible from vegetation, terrain or neighboring buildings that could block the northern sun. 2 - how many people will be staying in the condo when it is built? Do you have regular overnight visitors? Or, do you expect a mother or mother-in-law to move in with you in the future? 3 - How many rooms will you actually utilize? While it sounds enticing to add a game room, a multipurpose room, or a playroom, it is prudent to only build a room that will actually get used. A wasted home gym is of no good use because sometimes its treadmill can be converted to start holding last season’s clothes. Yes, most times an unused room is turned to a dumping ground for the things that do not get used. So, if you are planning to include a spare room, ensure it is a multipurpose room that can transition from one use to the next. For example, it can be a home office that can also be used as a guest room. 4. - What about your HVAC system? Poor planning regarding your HVAC system can result in issues such as terrible mold growth and moisture. This can in turn cause great health concerns. Moreover, you should pay attention to the HVAC unit’s sizes. Too small models will underperform and won’t cool and heat the home efficiently. On the other hand, those that are too large will use too much energy. 5 - what is your budget? Before embarking on the design of your new condo, it is important to calculate how much you have to spend in the new condo. With a budget in mind, your architect can then tell you of what items that may need to be put on hold meanwhile or executed on a smaller scale or if different materials will suffice, etc. 6. 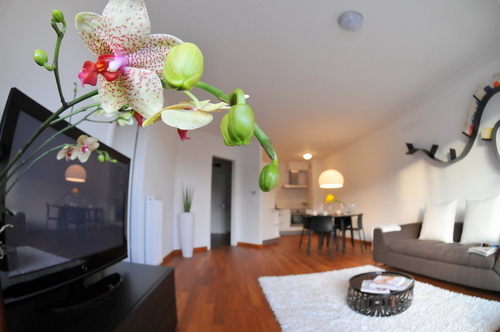 - Do you intend to resale the condo at a later time or it will be your home forever? As a rule of thumb, avoid designing a condo so unique or weirdly that it will be difficult to sell it in the future- if you foresee a possibility of selling it in the future. Take for instance dome-shaped and triangular all-roof houses- these are too unique for the real estate market. There is nothing bad at all in designing your condo to be wacky. The problem comes in when you want to sell it and some people get turned off and away with its strange style. But it is a different matter when you intend the condo to be your home forever. 7 - What Architectural styles or materials do you prefer? It is good to have a preferred architectural style for your new condo. You do not want to end up with a monstrous house that looks like an oversized tennis shoebox. You need to come up with architectural elements that will give the home an identity- for example, bay lines, gabled roof lines, trim elements, brick accents, etc. To find an architectural design, visit a builder’s model homes and see the homes that are comparable in price to the condo you are planning to build. This will certainly provide you with a good road map as well as a point of reference for design standards in your price range. 8 - you also need to ask yourself if there are any special requirements that will need to be taken into consideration in the design of the new condo- for example, a walker or wheelchair. 9. - You should also ask yourself if there are any priorities for the condo. For example, will you need a swimming pool, LED lighting, will it be one-story, whether it will have a basement, grand entry, or circle driveway, etc. 10.—another important question is if there are any restrictions from the city zoning, deed restrictions, or HOA on what one can build in the property. 11.—lastly, you will need to ask yourself what size the property is in terms of the square feet or acres before you embark in the design of your new condo. It is necessary to ask yourself the above listed questions so as to be sure you are designing a home that will fit your tastes as well as being within the law and your budget.